You know that I have a newborn baby and 3 year old triplets right? I appreciate you wanting me to attend a class about family history work, but I don’t really see how it is possible to fit it into my life right now. Maybe when I retire. Sister Miles’ smile got bigger. I glanced at the door behind her where my husband was leading the triplets out of the church building to our minivan. Sister Campbell, I feel really strongly, that you need to attend my class. I’ll see you next Sunday. I was frustrated as I thought about it throughout the week. I already had a lot on my plate. My heart softened the following Sunday as I attended Sister Miles’ first class. 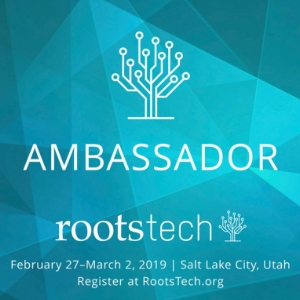 She explained the new FamilySearch software, and that family history work wasn’t just about microfilm and dusty library books. 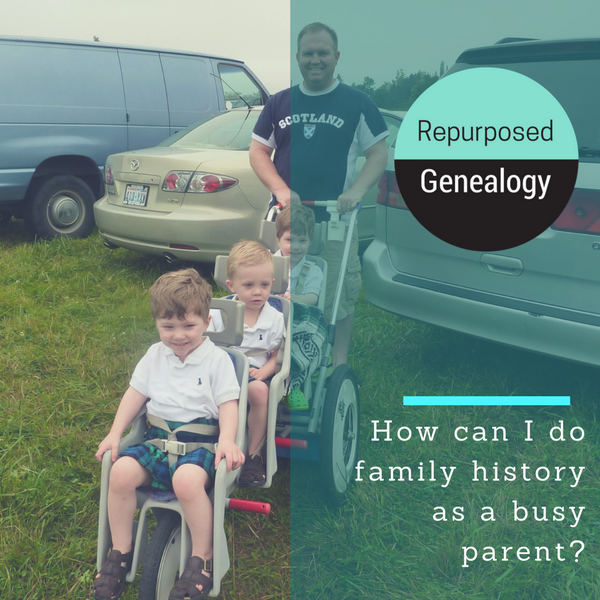 I realized that instead of being overwhelmed by huge tasks, I could start with small and simple things to learn about genealogy, and help my children appreciate our history and know their family members better. Over the past 6 years since I took Sister Miles’ family history class, have organized and attended a high school reunion, 3 family reunions, worked on preserving my family history, started a genealogy blog, attended genealogy conferences, volunteered with local historical preservation efforts, become a findagrave photo volunteer, learned about and tested DNA, become a genealogy speaker, indexed records, and personally prepared, taken, and helped others perform thousands of ordinances for their ancestors in the temple. I even call myself Genealogy Jen. When it comes to family history work, I’m all in now. That didn’t happen overnight, and I I don’t expect you to have the same level of obsession passion for family history work that I do. 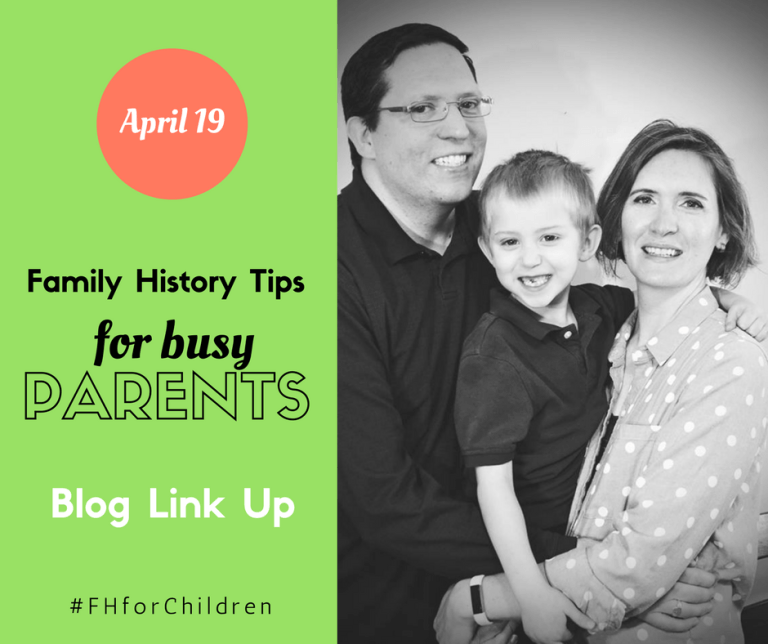 Here are 4 simple things you can do to fit family history into your busy life as a parent. It might be tempting to skip up your tree to learn about others. Who will tell your story? No one can do it better than you can. Schedule an hour each week to record your life story. You can break it up into 15 minute chunks over the course of the week so it’s easier to squeeze it into your busy life as a parent. Consistency overtime leads to amazing results. Need ideas of what to share? Check out these 52 prompts. You could have a complete history in a year by doing one a week. Don’t like to write? Don’t. Download the FamilySearch memories app to your smart phone, and record your answers on the go between errands, waiting in carpool pick up, or while your littles nap. For better sound quality, you can also use a digital recorder, download and edit the recordings on your computer. Interview your kids. They love technology. Record their precious voices telling you about their favorite things. Interview parents, aunts, uncles, siblings. Use family photos to help trigger memories. You can use the stories you collect for bedtime stories, to create videos, hard bound books, or type them up and have your kids draw pictures to illustrate them. Why not share the story of the day you were born with a child for a birthday gift? You can include pictures. You can use a simple 3 ring binder with page protectors, or a small scrapbook, or create a digital layout on one of the many services book creating services like Shutterfly. We have a lot of traditions around food… especially around the holidays. One of our favorite things to eat as a family is fondue. When I realized that my great grandfather immigrated to the US from Switzerland, family fondue took on a deeper meaning. Now, when we eat fondue, we share stories about Jacob Kohler immigrating to America. 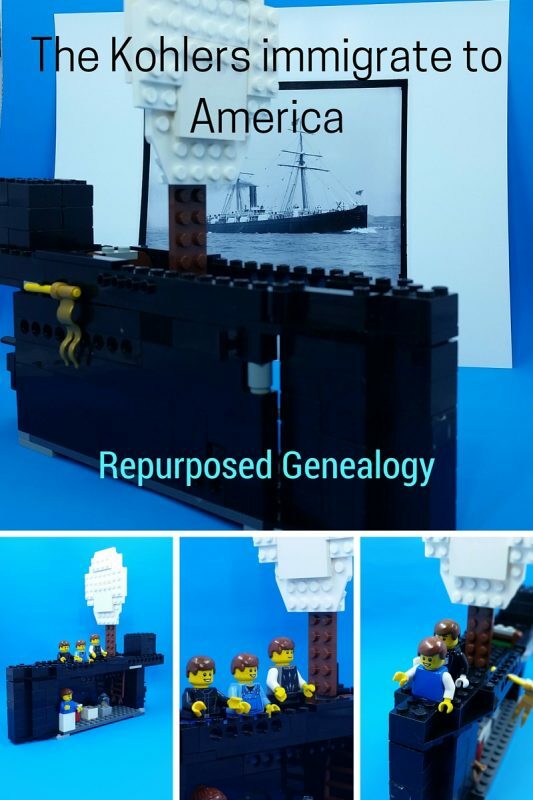 I’ve written about using Lego to tell about his life in a previous post. You can read that here. I loved reading books to my boys when they were younger. We spent a lot of time at our public library checking out books. I made sure to include books on our bookshelf, and in our library stack that discussed different cultures, events in history, and heritage. I used to restrain eye rolls when the triplets were younger when people would tell me how fast time goes, and that kids grow up so quickly. Potty training triplet boys lasted forever. I spent a year and a half of my life in the bathroom between potty training my triplet boys and morning sickness with my youngest son. It was not quick at all. As a stay at home mom, that hour before my husband came home from work to offer reprieve seemed to stretch on forever as well. But, all those people were right. Time does pass quickly. I now have three 4th graders and a 1st grader. I’m still just as busy as I used to be when my boys were younger with a small business, volunteering, church callings, and regular household duties. When I take time to teach my children family history, I find that I value my time with them more. I appreciate being present when I take time to connect with them, no matter how busy I am. Really great tips!!! Thank you for sharing your story and ideas. Love the picture of you and your kiddos getting out of the van. haha. 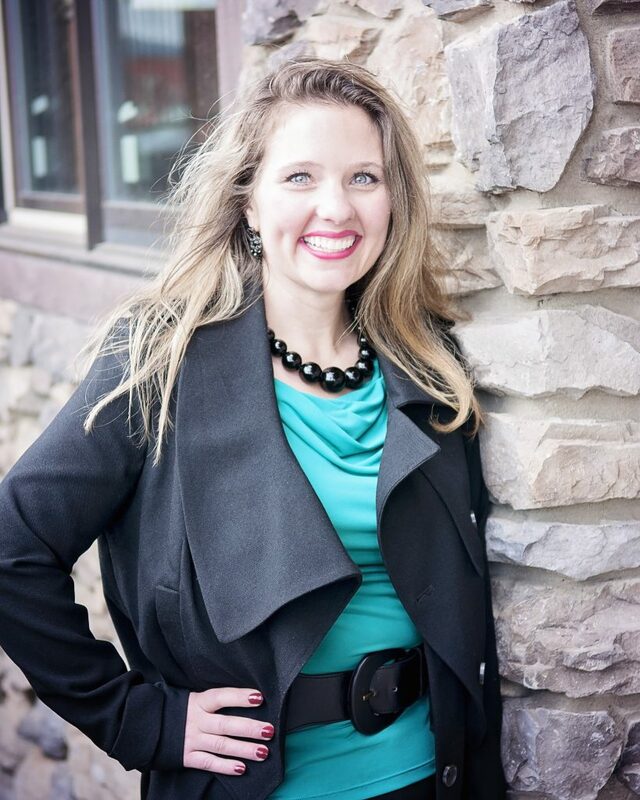 Thanks Nicole, and for including me in the link up. Ha! Genealogy Jen, I LOVE your candor. I can just hear your voice in my head as I read your bluntly honest truth about potty training lasting forever. I had a rough time every time I went through that task. I don’t want want to imagine three kiddos at once learning how to use the porcelain god. But I love how you appreciate family history and made it a part of your life. Thanks! After I met you I hear you when I read your posts as well. Number 4 took less than a day to potty train. I think it was God’s way of showing mercy to me. True story. You’re an entertaining writer, Jen. And your ideas are excellent. And I believe you should be awarded some major honor for potty training triplet boys and being morning-sick at the same time. Jen, I love this! Kudos to that family history teacher who started you on this journey. You’re truly an inspiration. Thanks for sharing your obsession/passion with me. I love your thoughts and reminding me that I need to make sure I’m recording information about myself and my own family. 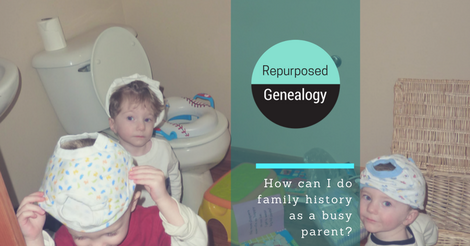 As a parent I know just how hard it is to find the time for family history research. Usually it is after work when the kids have gone to bed. But by that time I am pretty tired and am not concentrating properly. So getting thee family interested as well can really help.